Update – After providing misleading information and getting lots of good talk across the web from several month, Elephone declared that P9000 will not be a Helio X20 deca-core phone. About a month before the launch of Elephone P9000, Elephone has updated the information regarding the CPU. It will not be a Helio X20 deca-core phone, but it will be powered buy a yet another octa-core SoC (Helio P10) by MediaTek. It is weird if the rumors are spread through the official website but Elephone did it. If you are not believing us, get to the webarchive.org and browse a history version of elephone.cc. you will find a snapshot of Elephone P9000 official page showing Helio X20 as the CPU. Additionally, it will be a cheaper device now, selling at $299 by November 20th, 2015. Elephone, a Chinese dark horse is all set to launch a whopping 10 core CPU Android phone in the 4th quarter of 2015. Yes, it is absolutely confirmed that upcoming P9000 will be equipped with much talked MediaTek Helio X20 MT6797 deca-core processor coupled with Mali 8xx series Mali GPU clocked at over 800 MHz. Additionally this phone will also offer 4GB of RAM. 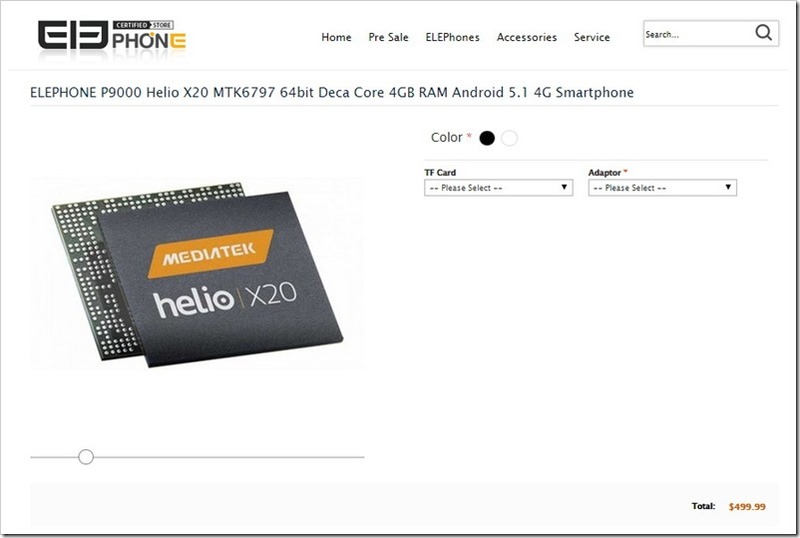 For your information, a few days back, MediaTek announced its deca-core chipset Helio X20 and since then, there are speculations of announcement of some deca-core phones. Taking our breath away, Elephone announced first to feature deca-core phone equipped with this MediaTek chipset. Tri-cluster CPU architecture to deliver best performance utilizing minimum power. (2 core A72 clocked at 2.3 GHz, 4 cores A53 clocked at 2GHz, 4 cores A53 clocked at 1.4 GHz). This Helio X20 tri-cluster architecture provides as much CPU power as your machine requires, saving power to maximum extent. CPU – MediaTek Helio X20, MT6797 (2 core A72 clocked at 2.5 GHz, 4 cores A53 clocked at 2GHz, 4 cores A53 clocked at 1.4 GHz). 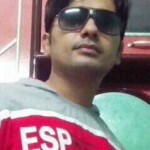 Elephone is emerging as the cheapest high-end Smartphones manufacturer and there is no other one who is parallel to it in terms of affordability. Selling a deca-core phone at this price ($499) seems to be miraculous, as the usually expected price of phone with such specifications should be around $600-700.